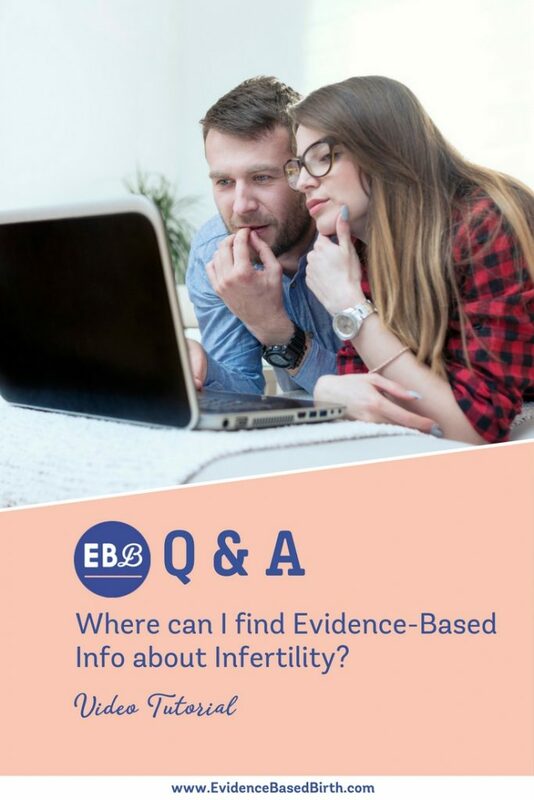 Where can I find Evidence-Based Info about Infertility? Welcome to the Evidence Based Birth® Q & A Video about Infertility! If you’re watching this video because you’re struggling with infertility, I just wanted to say this: I’m so, so sorry. This must be so hard for you. I can’t imagine what it’s like for you. Hi everyone and welcome to today’s Evidence Based Birth® Q&A. My name is Rebecca Dekker and I’m the founder of Evidence Based Birth®. Today I’m going to answer a question from Elsie. Elsie, I just wanted to say my heart goes out to you and your husband. Infertility is such a common problem and it’s something that isn’t talked about enough, it’s stigmatized. I personally have had close family and best friends who struggled with infertility. I know how hard a journey this is. I just wanted to say that my thoughts are with you and I’m cheering you and your husband on. I hope that you get the outcome that you’re hoping for. As far as evidence based information on infertility, this is a tricky one. I know when I was trying to conceive that I stumbled upon a huge world of infertility blog. There are so many women blogging about their infertility journey. I thought that was really awesome that they’re sharing that info. It’s so confusing. There were so many treatments. Every woman seemed to be on a different regimen, every doctor seemed to be saying something different. I know there’s been a ton of research on infertility. I’m not quite sure why the research isn’t out there in a format like it would be a Evidence Based Birth®. Infertility is not my specialty and it really deserves a huge website of its own to tackle that topic. What I can do though is refer you to a couple of resources. First, if you’re just on the beginning of the trying to conceive journey, which I know you’re not, Elsie, but others might be, I would recommend two resources. One is the book ‘Taking Charge of Your Fertility’. This book has the best explanation out there of how babies are made and how your body works. Really learning and understanding how your body works is really the first step in conceiving if you’re having difficulty. If you’re looking for basic information on conception, that’s a great resource. Second, there’s an awesome website called ‘Fertility Friend’ that I recommend, where you can chart and track temperatures, and you learn all about your basal body temperature and how to monitor your temperature. That’s something that, if you’re in the beginning of your infertility journey, might be helpful information for you. Or even if you’re just trying to conceive, I think it’s really helpful to learn how your body works. because it’s really amazing how our bodies work, and if you’re in tune to your basal body temperature and other signs like that, it will give you a head start in trying to overcome or figure out what’s going on with your infertility. Finally Elsie, you said you were on the brink of some major doctor’s appointments. I know that often in the United States infertility is not covered by insurance. I can understand the desire to try and get as much information as you can up front. You don’t want it to be from Google, which I totally get too. I would recommend the website ‘UpToDate’ and I’ll show you in a minute. UpToDate is a subscription website where you can pay for access to articles that in some ways are similar to the Evidence Based Birth® articles. They’re all written by medical professionals, they are basically literature reviews of all the science on every topic in healthcare. They have a whole bunch of articles on infertility and the different infertility treatments. Unfortunately the only way to get that is through a subscription, but if you’re patient you can get a limited time subscription for about $20 in which you can go in and get all the information that you need, e-mail it to yourself, there’s a way you can e-mail articles to yourself and even copy other people. I would go ahead and e-mail those to yourself if you get the subscription, and just get all prepared. If you have just had a big doctor’s appointment and you’re thinking over all your treatment options, that might be a good timeframe to get that two weeks subscription and get as many articles as you think you’ll need, so that you can have those on hand. I hope that helps Elsie, and I’ll quickly show you what the UpToDate website looks like. What you’d want to do is click on the ‘Subscribe’ button. Once you get here you want to click on the ‘New users’ and you start here. If you are looking at this as a patient, what you would want to do is click that your role is a patient or caregiver, because that will give you the discounted patient rate. Put what country you live on, because they do change the rates depending on your country. Then click on ‘Buy a new subscription’ and it will show you the rates. As a patient you can pick either the seven day patient subscription. Earlier I said you get two weeks, but I apologize, I was wrong. You actually get seven days for $20. You get a seven day patient subscription for $19.95 or you can get a 30 day subscription for $44.95. It’s pretty simple, you just pay for the subscription, add to cart. Then you can have access to all the articles. I’m not getting any kind of referral fee for telling you about this, I just wanted to show this resource to you, and if it works for you that’s great, if not, that’s fine too. UpToDate articles are great at getting you as much information as you might possibly need that is currently available, in that kind of literature review format, where they’ve combined all the studies and summarized them. You just kind of take UpToDate articles with a grain of salt because, they’re written by clinicians, so often at the very end, they will give the clinicians’ opinion. Which is fine, but you’ve got to remember it’s an opinion. Different doctors and different care providers can have differing opinions. Although a clinical opinion is a form of evidence, it is this type of evidence that’s most subject to bias. Again, just take the opinions at the end of the articles with a grain of salt. Make sure you talk about what you download on UpToDate with your care provider, so that you can talk about the evidence together. 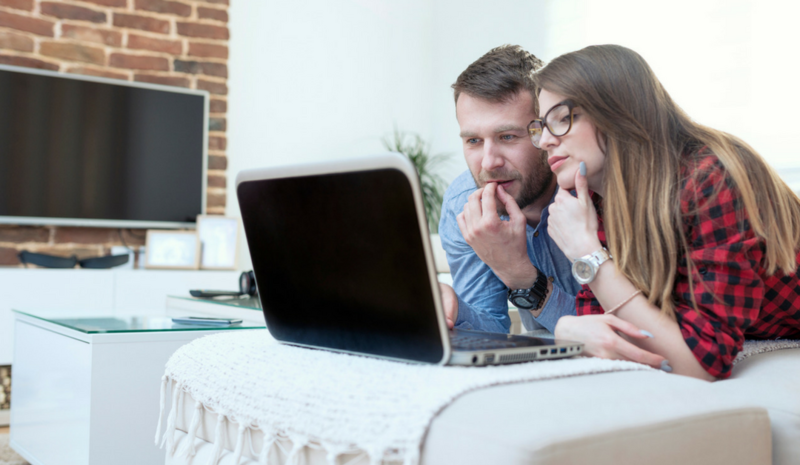 I hope that this empowers you to bring more evidence based information to your appointments with your infertility specialists. Again, I wish you the best of luck. Thanks and bye.